Zero Friction™ is responsible for establishing the performance tee market and bringing to light the importance the tee plays in the game of golf. Since its debut in 2005, the Zero Friction Tee has been and remains the #1 performance tee on the PGA TOUR™ with over 70 PGA TOUR™ Victories. 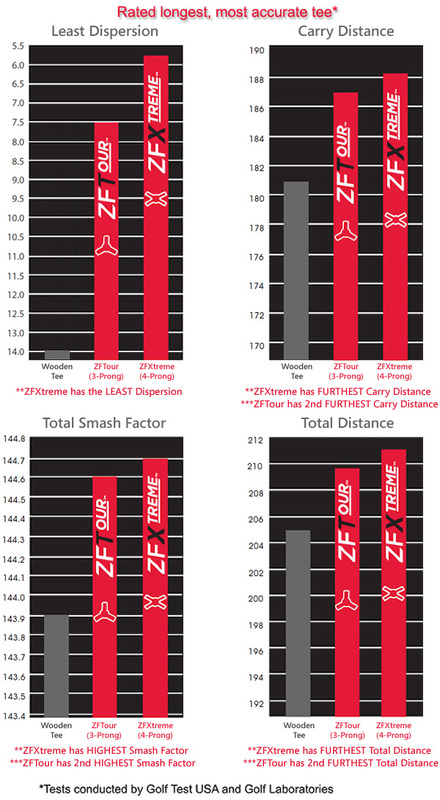 Since then, Zero Friction™ has continued to introduce new tee varieties, with the same mission of performance in mind. Indepenent test results prove that Zero Friction Performance Golf Tees give the most distance and accuracy of any tee on the market today. Patented top reduces the contact area between tee and ball by 66%, leading to longer, straighter drives. Eco-friendly products manufactured with 100% bio-composite materials.